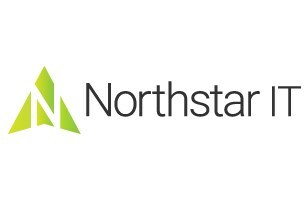 Northstar Technology Ltd - IT and Consultancy based in Lancing Business Park, West Sussex. When it comes to IT you just want the job done and you need someone you can trust to do it. Are you receiving the quality of service and support you expect? Is there something missing from your current provider? We'd love to come and help. We are more than happy to discuss your business IT needs and there is no obligation. We've joined Checkatrade as we have been trading since 1999 and you'll find many client testimonials going back over a decade on our website. We provide contract based IT support, all for a fixed fee with no fair use policy. Why? Because we believe in what we do, and it should be there when you need it. Not subject to hidden T&Cs. We also provide a fantastic and quality selection of branded hardware for all your needs. We also believe in vetting the brands we work with, so we won't sell you anything we believe to be sub-standard just to make a sale. If we don't believe in it, we won't sell it! The 'Cloud' is also a big buzz word now and the cloud can deliver some very real benefits to your business. We're happy to discuss how these can help your business, and steer you through to make sure the right cloud is the right fit for your business. Some of the services we offer include, Microsoft 365, backup, email filtering, anti-virus and they're all based on a rolling monthly basis, so you only pay for what you need. No wastage! If you grow it grows with you, if you need to knock some on the head, the savings come then too. No lengthy tie ins. Our hailing frequencies are open and we'd love to talk to you and see how we can help you!